With the emergence of the novel oral anticoagulants (NOAC) as alternatives for warfarin has come the potential of transforming modern clinical practice for venous thromboembolism (VTE). 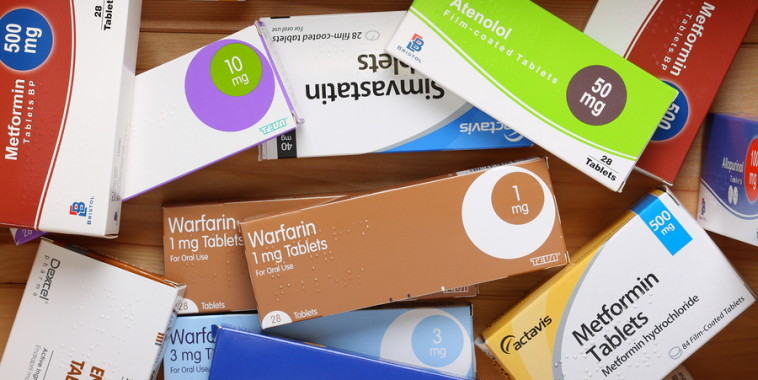 Dabigitran, Rivaroxaban, Apixaban and Edoxaban, unlike warfarin, do not require monitoring eliminating many of the frustrations associated with chronic warfarin administration. EINSTEIN, RE-COVER, AMPLIFY and the Hokusai-VTE trials have found Rivaroxaban, Dabigitran, Apixaban and Edoxaban each to be non-inferior to standard therapy in the treatment of VTE. With the rise of these new agents one may ask: What is the relevance of warfarin in the treatment of VTE in the modern era? Predictable pharmacokinetics which allow for fixed dosing without monitoring. Rivaroxaban and Apixaban do not require initial overlap (“bridging”) therapy with heparin or enoxaparin. Thus, for many newly diagnosed VTE patients no injection therapy, blood monitoring or any form of hospitalization may be necessary for their VTE diagnosis. With the obvious benefits of the NOACs who should they be avoided in? First, NOACs should be avoided in those patients that the trials did not include in enrollment. These include patients who may need anticoagulation but also have antiphospholipid antibody syndrome, heparin induced thrombocytopenia, cirrhosis, creatinine clearanceHokusai-VTE study. Thus, only Edoxaban may be considered in patients with submassive pulmonary embolism.Without evidence from randomized control trials that NOACs are non inferior to warfarin in these patient populations, warfarin therapy remains standard of care. Cancer patients mandate specific attention. The trials which have compared NOACs to warfarin included only a small number of cancer patients. Furthermore, there have been to date no trials comparing new oral anticoagulants with low molecular weight heparin in patients with active cancer. Thus enoxaparin remains the standard for cancer related VTE events. Novel oral anticoagulants should also likely be avoided in gastric bypass patients. Without a predictable way of monitoring NOACs, there is no clear way of assessing absorption in this patient population and importantly these patients were not specifically studied. Another group to avoid with NOAC therapy are patients who exhibit poor compliance with warfarin monitoring. In these patients inability to monitor NOACs may be a problem as providers will no be clearly able to assess therapeutic levels. Finally, patients whose creatinine level may change over time should not be offered NOACs as all are effected by renal clearance. Though NOACs clearly have a place in current management of VTE, long-term data on these agents is still lacking. In many subsets of patients as outlined above warfarin will remain as the standard of care for VTE.